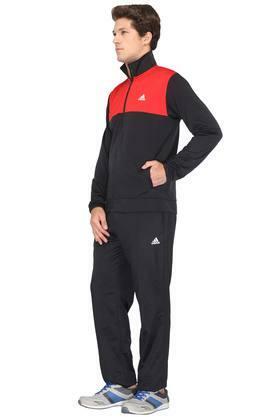 Make your workout session more comfortable with this tracksuit brought to you by popular brand Adidas. The jacket comes with a colour block pattern and the track pants in a solid pattern, thus making an amazing contrast Besides, it has been made of fine quality fabric that ensures easy maintenance. 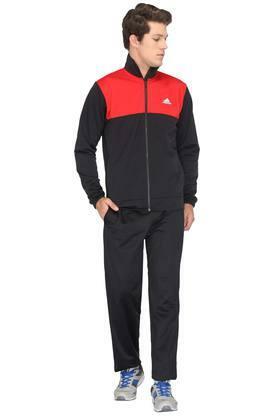 Feel comfortable during your jogging session or practice session by wearing this tracksuit. 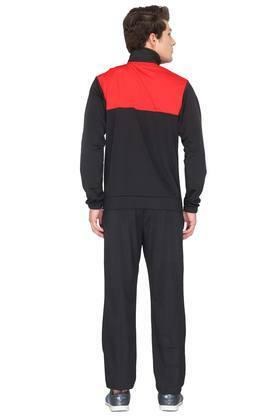 You can club it with a pair of sports shoes to complete your look.